There’s recently been a lot on AntipodeFoundation.org about utopian experiments. 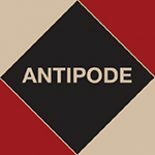 For one thing, we published a virtual issue of Antipode, ‘Imagining and Enacting Community Economies‘, all about theorising and practically developing noncapitalist economic spaces where interdependence is recognised and respected and values such as mutual aid, reciprocity, co-operation and collaboration aren’t seen as ludicrous or utopian future goals but, rather, as perfectly practicable. Taking this theme in a new and interesting direction, we’re pleased to present here ‘Atlas Swam: Freedom, Capital, and Floating Sovereignties in the Seasteading Vision‘, a paper forthcoming this summer in Antipode 44(4) by Phil Steinberg, Liz Nyman and Mauro Caraccioli. ‘Atlas Swam’ looks critically at the seasteading movement – a movement seeking to ‘further the establishment and growth of permanent, autonomous ocean communities by enabling innovations with new political and social systems’ on semi-stationary, floating platforms. The movement’s utopian imaginary blends techno-optimism, libertarian secession theories, and strains of anarcho-capitalism to, as Phil puts it below, ‘kick off a political discussion’ about rational choice, autonomy and independence, and entrepreneurialism in today’s world. Phil and his co-authors explore the depths of this heady brew, teasing out ideals about the nature of ocean-space, the limits of sovereignty, and the liberatory role of technology and capitalism in the drive for social change and individual freedom. They suggest how efforts to overcome contemporary problems too often only rework them, and in doing so ‘unwittingly reinforce the structures they seek to escape’. The Antipode Foundation website has just posted this video of me discussing the libertarian Seasteading project. For the complete article, see “Atlas Swam: Freedom, Capital, and Floating Sovereignties in the Seasteading Vision” (by P. Steinberg, E. Nyman, & M. Caraccioli), appearing in Antipode 44(4). This entry was posted on 10 July 2012 by Antipode Editorial Office in Video Abstracts and tagged anarcho-capitalism, Atlas Swam, autonomy, Elizabeth A. Nyman, entrepreneurialism, floating sovereignties, freedom, independence, individualism, libertarian secession theory, Mauro J. Caraccioli, ocean-space, Philip E. Steinberg, rational choice, seasteading, social change, social movements, techno-optimism, technology, utopian discourse, utopian thinking, utopianism.